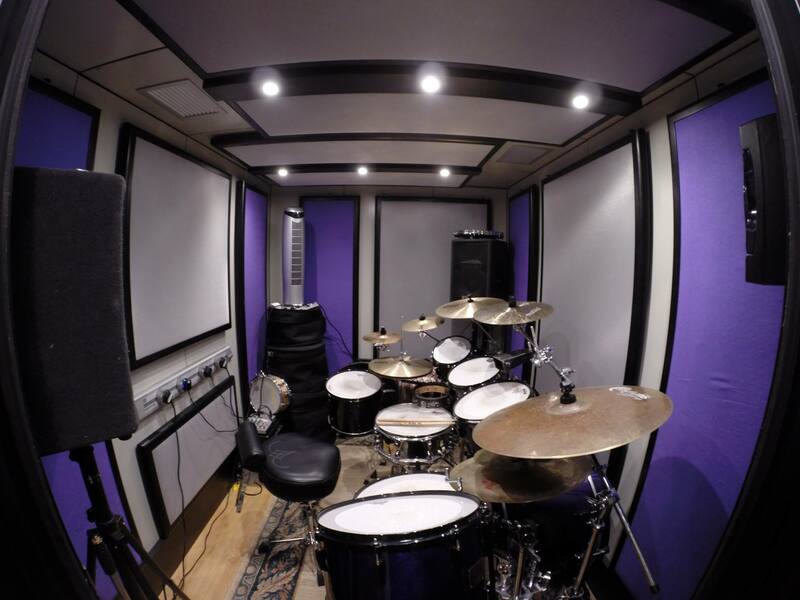 During August 2014 B-BENG and Amadeus Acoustic Solutions installed a great BOXY studio for a professional young musician by the name of Tom Adamson. Tom is the leader of Baltik Ceilidh Band and also an engineer at Midtown Music. After many months of planning and design, it was decided that a B-level BOXY room would be required for this project. 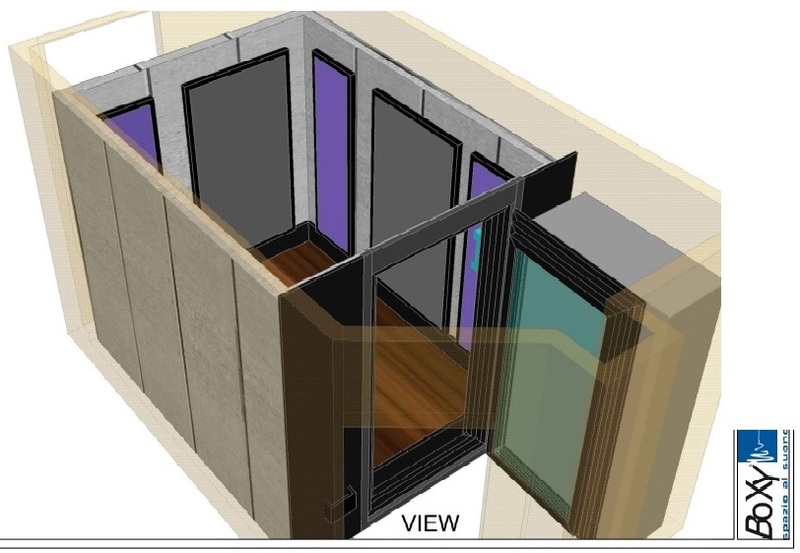 The main reason being that the B-level room is our most soundproof modular room, with a dB reduction rating of 60 Rw dB. This sound transmission class is perfect for a professional studio within a London apartment, as the need for retaining as much usable space as possible, whilst reaching those much needed sound reduction ratings, were key to the success of the project. With every project there is a balancing act between form, function, sound transmission and the space that remains after all the insulation material has been installed. Drums and equipment moved in! Many thanks to Tom Adamson for featuring in our Case Study. Images provided by Amadeus and Tom Adamson. 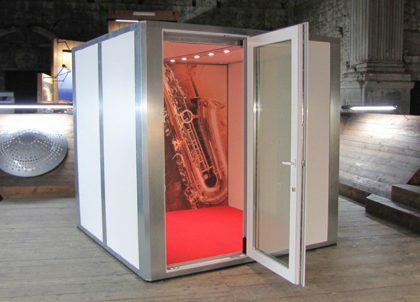 I recently purchased a sound booth from Amadeus and have been delighted with both their service and the quality of the Boxy rooms they sell. As a Drummer and Producer, I found it difficult make excessive noise and record in a silent environment with the surroundings that central London brings. The Boxy room allows me to achieve both. As a professional musician and a graduate of Guildhall School of Music & Drama, it is important to have access to my instrument all the time. It is fantastic to be able to achieve this without disturbing my housemates, never mind the neighbours. As a Writer and Producer I record all times of day and night. Now the booth will allow me to record Vocals and Guitar at 3am without waking anyone. 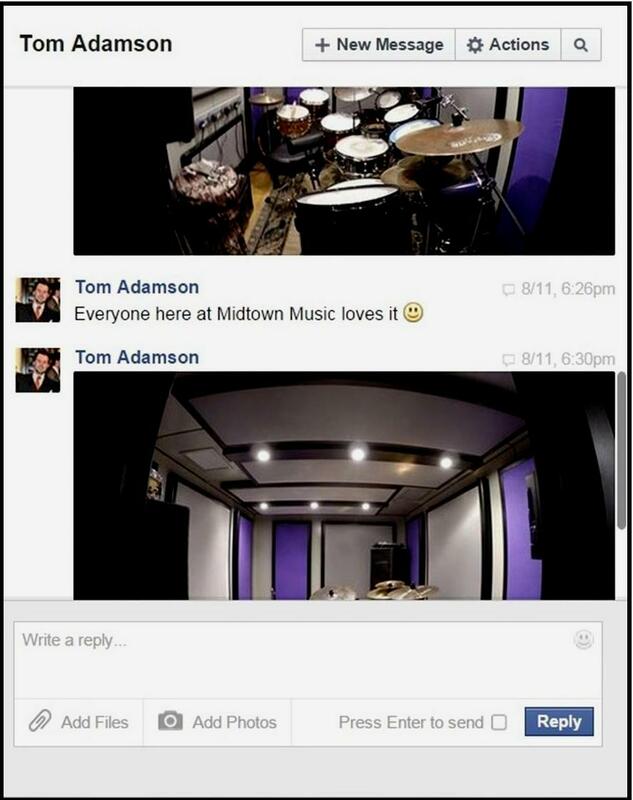 'Acceptable Taboo' by Tom Adamson's Sum Bampot Band will be available at the beginning of 2015 and a lot of the album was recorded in the new booth here at Midtown Music Studios.